One hundred years ago today, in exactly two hours and twenty minutes, The RMS Titanic hit an iceberg 4 days into its maiden voyage, and at 11:40 PM on April 14, 1912 began to sink into the cold, dark abyss. By 2:20AM, the "boat that would never sink" had vanished, claiming 1800 lives; yet some managed to survive. 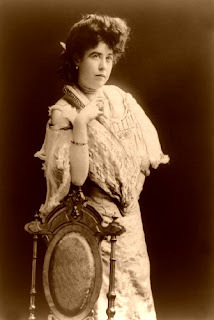 The most famous of these survivors, especially for Denverites, is the "Unsinkable" Molly Brown. She was safe on the lifeboat, and they started to row, but Molly convinced her fellow passengers to go back and save more people. 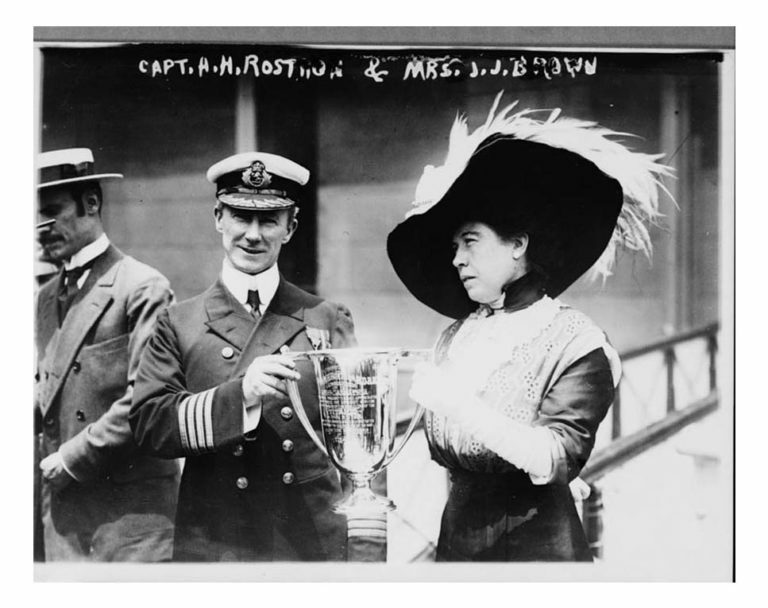 Molly Brown personally saved a large number of people before she claimed her own spot on the lifeboat. Throughout her life, she was well-known for her charitable endeavors and generous spirit. Anyone desiring information concerning Molly or her house here in beautiful Denver, Colorado, would do best to mind my advice and visit mollybrown.org, to whom we are thankful for the following information. Viva the generous spirit of Molly Brown!! Margaret Tobin Brown was born to Irish immigrants John and Johanna Tobin in 1867 in Hannibal, Missouri. The Tobins were part of a wave of immigration following the first period of industrialization in America. Hannibal was a diverse community where Margaret was exposed to a variety of people and interests and where her parents found a group of like-minded Irish Catholic immigrants who supported both freedom and equality. The Tobins had progressive views that valued education, even for their daughters. Margaret attended school until age 13 and the lessons she learned from her parents stayed with her throughout her life, guiding her drive for personal growth and her commitment to participating in the world around her. Margaret also encountered the struggles of the laboring class when she began working in a factory at age 13. Long days, low wages and instability characterized the lives of many in her community, including her father. One of her dreams, shaped by Hannibal’s status as a major transportation hub, was to move west. Margaret and her brother Daniel followed personal dreams and the national chain of migration to Leadville, Colorado. Once in Leadville, Margaret began work at a local department store and became active in the Irish Catholic community through the Annunciation Church. She also witnessed the harsh realities many gold-seekers found when they finally arrived in the Rockies, as many were forced to abandon their dreams of independence and wealth in order to make a living by doing wage labor under harsh, exploitative conditions. Margaret soon became involved in soup kitchens and charity efforts. A short time after her arrival she met J.J. Brown, a mining engineer with respectable prospects but no fortune. After a summer courtship, Margaret and J.J. were married on September 1, 1886. J.J. was 31 years old and Margaret was barely 19. The newlyweds moved further up to Stumpftown, closer to where J.J. was working. Leadville miners and their families often lived near the mines, particularly in the winter months when the journey to town could be cold and treacherous. Despite harsh working conditions and the rarity of success stories, the heady sense that a regular workingman could become rich dominated Leadville until 1893, when everything came tumbling down in the Silver Crash. While Leadville already had its share of transience and instability, the crash created extraordinary poverty and anxiety. It was in this environment that J.J., now working as a mine superintendent, made a fortuitous, although well researched, discovery of gold in the Little Johnny Mine. The owners of the Little Johnny rewarded the Browns with significant shares in their company, the Ibex Mining Company, and the Browns became millionaires. With their new money and an already growing circle of friends, the Browns purchased what would become their long-time Denver home on Pennsylvania Avenue (now street) in 1894. By the 1890s, the Denver skyline was filled with hotels, office blocks and looming brick smokestacks. Denver was the point of entry and departure for raw goods and there were smelters on all sides. The Brown’s move to Denver did not provide an escape from the effects of the Silver Crash as their new city was burdened with social chaos. Slums grew up on the outskirts of downtown. Children especially struggled with poverty and homelessness and drew the attention of progressive reformers. These reformers also drew Margaret’s attention. The Progressive movement had grown out of the social turmoil created by industrialization and dense urban environments; Margaret joined the reformers to install public baths in the courthouse and advocate for more public parks and other city improvements. She also worked closely with controversial reformer Ben Lindsey, a Denver judge and politician who pioneered the creation of a national juvenile court system. Margaret’s commitment to social reform grew, and in 1901 she attempted to win a seat in the state senate. This action defied the common maxim, touted by her own husband, which stated that a woman’s name should appear in the newspaper only three times: at her birth, upon her marriage and at her death. Although Margaret withdrew from the race prior to election-day, the experience opened new doors. She had broken with gender conventions and been exposed to the larger political issues that she would actively pursue for another 20 years. 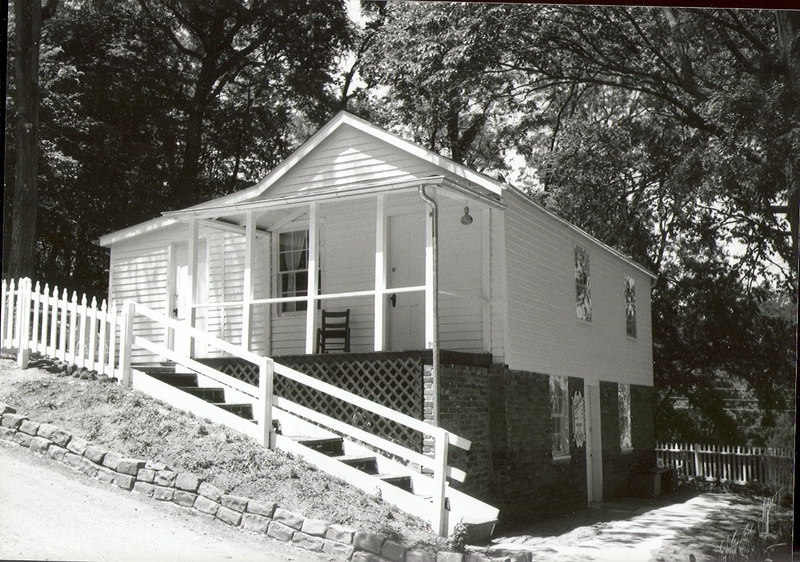 In addition to the philanthropy made possible by their wealth, the Browns enjoyed another new pursuit, travel. In 1902 Margaret and J.J. embarked on a world tour that took them through Ireland, France, Russia, India and Japan, among other places. Both Browns enjoyed the trip immensely, with J.J. seriously considering retiring to Ireland and Margaret writing travel articles detailing her observations of India’s caste system for the Denver papers. While the trip appeared to bridge the distance between the pair for some years, in 1909, after 23 years of marriage, the Browns quietly signed a separation agreement. According to the agreement, Margaret received a cash settlement and maintained possession of the house on Pennsylvania Street. She also received $700 a month allowing her to continue her travels and philanthropic activities. The two never divorced, but the separation lasted until J.J.’s death in 1922. Now more independent than ever, Margaret departed on a trip to Egypt, Rome and Paris with her daughter Helen, and friends J.J. and Madeleine Astor, in 1912. However, news of her ill grandson hastened Margaret’s return, and she booked passage on the first available ship, the Titanic. To technology-obsessed Americans, the Titanic represented new heights in innovation and achievement. The ship was a wonder of modern science built by British White Star Lines at a cost of $10 million. The boat weighed 46,000 tons and was 882.5 feet long. The ship's builders boasted that the ship was "practically unsinkable." Although the ship's Captain and crew received numerous warnings of ice in the area during their passage, the Titanic charged ahead. Shortly before midnight on April 14th the Titanic struck ice. Margaret described her experience in the Newport Herald, "I stretched on the brass bed, at the side of which was a lamp. So completely absorbed in my reading I gave little thought to the crash that struck at my window overhead and threw me to the floor. " After the crash, Margaret heard increasing confusion in the hall causing her to investigate further. "I again looked out and saw a man whose face was blanched, his eyes protruding, wearing the look of a haunted creature. He was gasping for breath and in an undertone he gasped, 'get your life saver'." After helping fellow passengers she was taken a hold of and with the words "you are going too" was dropped four feet into the lowering lifeboat #6. Lifeboat #6 was equipped to hold 65 passengers. However, it pushed off from Titanic with 21 women, 2 men and a twelve-year-old boy on board. The women in the lifeboat rowed for hours. At 4:30 a.m. Margaret saw a flash of light. It was from the approaching ship Carpathia, which was the first to answer the distress call. After some difficulty, lifeboat #6 pulled up along side of the Carpathia, and the occupants were pulled aboard one at a time. Margaret, though sore, tired and cold, began to take action. Her knowledge of foreign languages enabled her to console survivors who spoke little English. She also rifled through the ship to find extra blankets and supplies to distribute to women who were sleeping in the dining room and corridors. Margaret realized that many women had lost everything- husbands, children, clothes, money and valuables- and needed to start a life in a new country. She rallied the first class passengers to donate money to help less fortunate passengers. Before the Carpathia reached New York $10,000 had been raised. The Carpathia docked at New York's pier 54 where it was met by a crowd of 30,000 people. Margaret was surrounded by reporters and was asked to what she attributed her survival. "Typical Brown luck," she replied. "We're unsinkable." Margaret Brown’s experiences on the ship are the most well-known portion of her story, but it is the aftermath of the tragedy and Margaret’s role in helping the survivors that placed her in the national limelight for the first time. With this new national fame, Colorado called for her leadership in April, 1914. For months, miners in Ludlow had been on strike against the Colorado Fuel and Iron Company in an effort to gain reprieve from harsh working conditions, extreme hours and dangerous working conditions. The company, part of the Rockefeller conglomerate, refused their demands. Local women wrote to Margaret Brown pleading for her aid and stating “We heard of your anxiety to do for the men in the Mexican War and we wanted to tell you of our own men and women of our own war, here at home,” as reported in the Denver Times. Tensions between striking miners and CF&I came to a head on April 20th when a battle broke out between the miners and private guards hired by the company. Twenty people were killed in the struggle, including several women and children. The tragedy at Ludlow became a national crisis as Americans learned of the horrifying details of one of the most violent labor conflicts in American history. Margaret, who had connections in both the West and the East, went to Ludlow in answer to urgent appeals for help from both sides, each seeing her as an ally. Margaret struggled to maintain a middle ground, refusing to join radicals calling for the resignation of the governor, while also challenging Rockefeller on his harsh business practices. As the two sides became further entrenched, Margaret spoke out about miners’ rights and pressured Rockefeller with the resulting negative media. Rockefeller eventually softened his stance and agreed to make concessions. The conflict at Ludlow was ultimately resolved and, in many ways, marked the end of the radical wing of the workers’ movement in America as the new PR savvy of industrialists like Rockefeller grew more and more effective. After Ludlow Margaret returned to Colorado less frequently and spent much of her time in a rented summer home in Newport, Rhode Island. Newport was the pinnacle of American high society at the beginning of the 20th century. It was a competitive place where wealthy families displayed their fortunes by building lavish homes and hosting spectacular parties. Newport was the first American town to have a golf course, a tennis club and the regular use of cars. 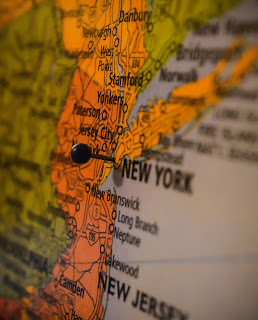 It was also female dominated, as the men spent most of their time in New York City doing business, only coming to town for social outings on the weekends. Margaret Brown was drawn to the independent women of Newport even though her fortune was small in comparison. 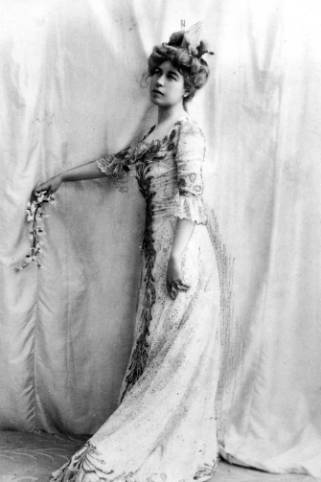 Margaret was quickly accepted by Newport’s leaders, particularly Alva Vanderbilt Belmont, the President of the National Women’s Suffrage Association. Together, Margaret and Alva became involved in the National Women’s Trade Union League. Unlike other women’s organizations or labor groups, the League included both women of the upper classes and working women in an effort to advocate for a minimum wage and an eight-hour workday. Margaret traveled the country speaking about both women’s issues and labor issues, and authored dozens of newspaper articles. She became increasingly close to the radical side of the women’s party, led by Alice Paul, which pushed hard for a national suffrage amendment. In July 1914, Margaret worked with Alva Belmont to organize the Conference of Great Women, a lead-up to the August announcement of more aggressive suffrage campaigns. Margaret spoke at the Conference, detailing the plight of Colorado miners and rallying for a “rights for all” movement, which would counter the greed of big business with universal suffrage. The momentum created by the Conference of Great Women and the support of national suffrage leaders like Alva Belmont and Alice Paul propelled Margaret to her final bid for a political seat as a U.S. Senator representing Colorado. 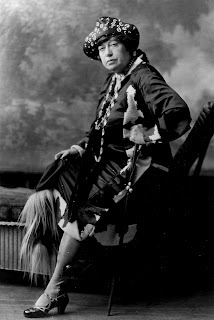 Her style appealed to both men and women, many of whom supported the progressive platform. Colorado newspapers and the New York Times favored her victory. However, when World War I broke out, Margaret shifted her focus to relief efforts, eventually traveling to France to work for the American Committee for Devastated France. At her departure, a New York reporter noted, “If I were requested to personify perpetual activity, I believe I’d name Mrs. J.J. Brown, the Newport social figure, suffragist and patriot.” Margaret ultimately earned the French Legion of Honor for her activities. America’s focus shifted after World War I. With new, international responsibilities and a sense of a larger world, urban Americans explored art, music and theater to a greater degree. With the end of the war, the passage of women’s suffrage in 1920 and J.J.’s death in 1922, Margaret joined the cultural renaissance, especially pursuing her interest in the stage. She emulated one of her heroes, Sarah Bernhardt, performing Bernhardt’s famous role in L’Aiglon in Paris and New York. In many ways, Margaret was the embodiment of the New Woman of the twenties: free, liberated and self-sufficient. In 1932, she was living in the Barbizon Hotel, famous for housing aspiring actresses like Ingrid Bergman and Candice Bergen, when she passed away in her sleep, still living her life on her own terms and pursuing the ambitions of her heart. Margaret’s theatrical nature, evidenced by her lifelong passion for the stage and her everyday actions, helped to create the mythology that surrounds her life. Today, her name is known around the world and her Titanic fame has grown. Her character has appeared in stage productions, classic films and blockbuster historical dramas. While her mythology reveals how the West and western women are seen in the American imagination, the true story of how she navigated a changing America tells the American story in unexpected ways. To learn more about the life of Margaret Tobin Brown, purchase Molly Brown: Biography of a Changing Nation, a DVD produced by the Museum and Molly Brown: Unraveling the Myth, by author Kristin Iversen.